As I complete my undergraduate years, I am faced with the hard truth that one day I will be forgotten to campus. I have given hundreds of hours of service to this University, and in a few weeks the life and love I have put into this place will slowly become disassociated with me. Yet, something will remain, even if it will go beyond the memory of those walking around on campus. Dr. Otto Bird founded Notre Dame’s Program of Liberal Studies in 1950. He retired in 1977. PLS students will study in a program modified from his 1950 plan. To really understand the Program (and why I decided not to major in it), students ought to read his memoirs, Seeking a Center: My Life as a Great Bookie. Yet, few do. In my two semesters in the program, no one recommended the book to me. Dr. Bird died June 5, 2009. He started teaching me in the spring of 2011, the semester after I dropped my PLS major. I wrote a history of PLS that semester, and Dr. Bird was my primary source. He taught me to look beyond the present and beyond the facades of our everyday life. To understand the world, I need to get to the root of things. As you drive onto campus towards Main Building, you’ll pass a small cemetery on your left. 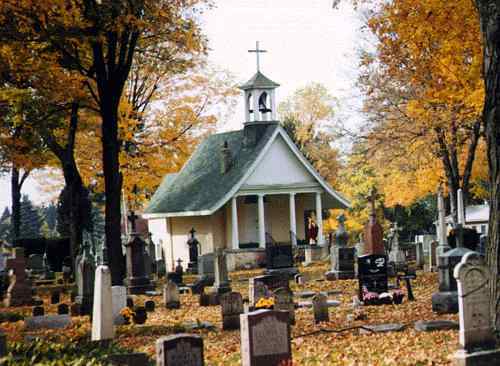 Cedar Grove Cemetery became a part of Notre Dame nearly four decades before the Golden Dome. Many students don’t even know it exists. Men and women who gave their lives to this University are buried there. Catholicism is very tied to the past. The Reliquary Chapel in our Basilica has hundreds of pieces of bones, clothing, and hair belonging to saints of the past two millennia. Upon death, a saint is forever tied to Catholics whose piety unites them to their spiritual ancestors. Some version of this morbid piety drew me to Cedar Grove Cemetery one May, as I gave a copy of my PLS paper to Dr. Bird. I realized that the paper was really his work. I was only participating in something that was given to me, something started by another, something that I took up but did not create. So I said a few Hail Mary’s for him, his wife (who is buried beside him), his Program, and his University, and left a copy on his grave. I hoped to give back something after he had given me so much. There are few things as tragic as neglecting our past. To think of Notre Dame as an Irish university is to only think of a caricature of the institution. It’s architecture, spirituality, origin, curriculum, and name will reveal that Notre Dame is, in fact, a French school. Our generation suffers from the same egoism that every generation carries. We often think that we have created the world and that our contributions to it are the greatest in history. We reject the past and believe that we are free from it. We reject past societies for having prejudices different from our own. But in doing so, we refuse to really know ourselves. And we hardly know Notre Dame. If we are going to understand Notre Dame, we’re going to have to examine 19th century South Bend and 13th century Paris, 4th century Rome and 4th century Constantinople, 1st century Judea and 4th century BC Athens. We’re going to have to dig up the lives and memories buried in Cedar Grove Cemetery. We’re going to have to visit the faculty in Malloy Hall and the paintings in Main Building and the spirituality in Corby Hall and the Lady Chapel 12-5pm on Fridays during the academic year. We’re going to have to look back at the good, the bad, and the grace-filled ugly. We destroy ourselves when we insist that the graduated leave and the dead stay in their graves. We only live when they live with us.